A stimulating aromatic bath with natural volatile pine needle oil, wheat bran extract and D-Panthenol. 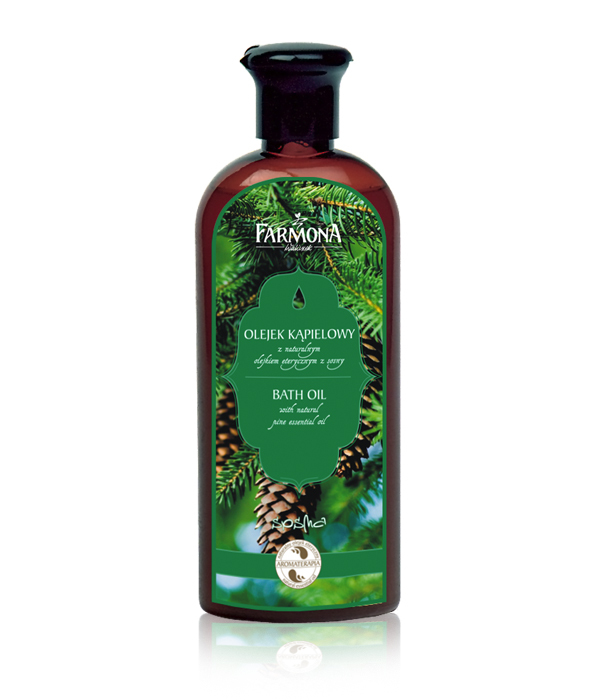 Natural pine oil gives the bath refreshing forest scent. It also has antibacterial and anti-fungal activity. Moisturizes and delicately oils the body, leaves a pleasant scent and smoothness. Wheat bran extract smoothes and firms the skin, whereas D-Panthenol soothes and regenerates. Pour 30 ml of oil under the stream of warm water. Recommended bath time: 20 min. Product may be used also as shower gel. Natural volatile pine needle oil, wheat bran extract, provitamin B5. Aqua (water), Sodium laureth sulfate, Cocamidopropyl betaine, Sodium chloride, Peg-7 glyceryl cocoate, Polysorbate 20, Propylene glycol, Triticum vulgare (wheat) bran extract, Pinus sylvestris (pine) oil, Peg-150 pentaerythrityl tetrastearate, Peg-6 caprylic/capric glycerides, Panthenol, Citric acid, Disodium edta, Methylchloroisothiazolinone, Methylisothiazolinone, 2-bromo-2-nitropropane- 1,3-diol, Parfum (fragrance), Limonene, Linalool, Eugenol, CI 19140, CI 42090.